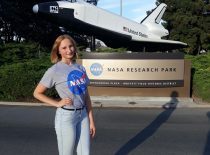 Two Kaunas University of Technology (KTU) students – Julija Kravčenko and Vladas Jurgis Labanauskas – are among the 4 Lithuanians who have just started their internship in National Aeronautics and Space Administration (NASA) Ames Research Center. NASA brings to mind images of first humans in space, inconceivable research and innovation beyond belief. However, for four Lithuanian students NASA will be also an addition to their resume – an incredible workplace, a once-in-a-lifetime experience. 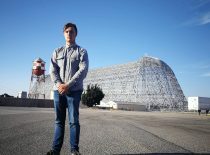 “I am sure that internship in NASA could open-up my career. I have some ideas about new technologies that I would like to introduce to the researchers working there. 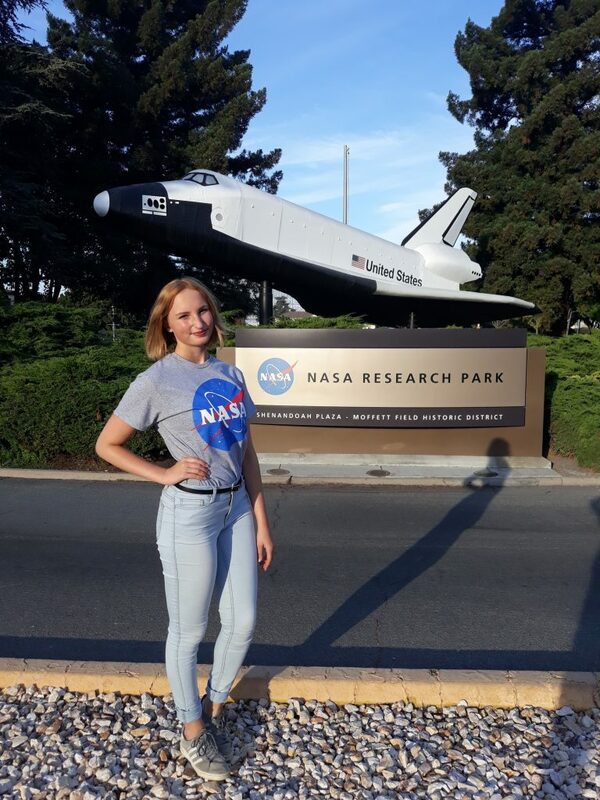 Also, the best students from around the world will come to the internship, so I will definitely use the networking opportunity – I am already thinking about an international project or even a new business”, said Julija Kravčenko, Kaunas University of Technology (KTU) a third-year student at the Faculty of Electrical and Electronics Engineering before leaving for NASA in the end of August. 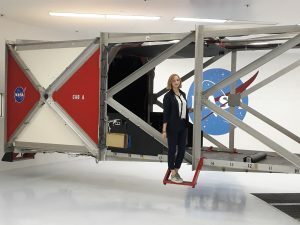 Depending on their study field and competences, the students are assigned different projects: Jurgis, who is studying aviation engineering at the Faculty of Mechanical Engineering and Design, is working with helicopter aeromechanics, and biomedical electronics student Julija is contributing to the development of biomedical equipment for exploration missions. 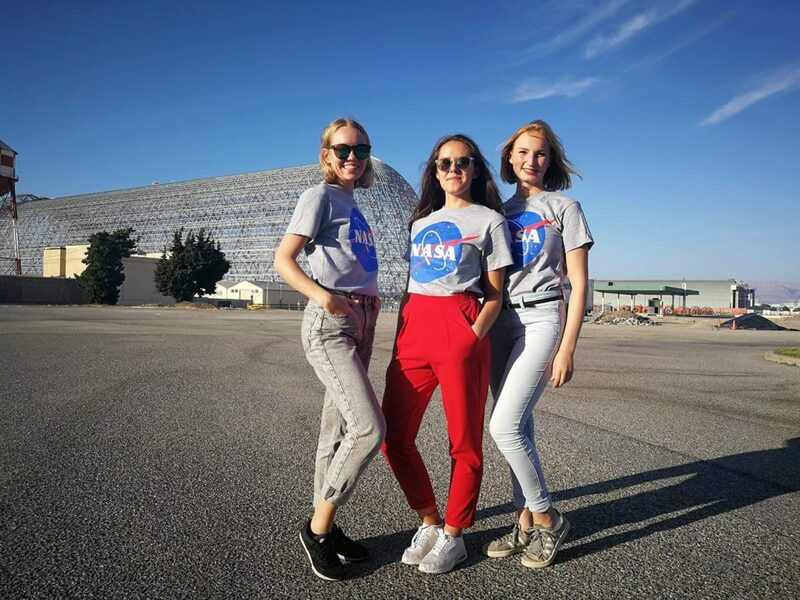 Lithuanian Agency for Science, Innovation and Technology (MITA) has been collaborating with NASA in organising the internships for students since 2014 after the bilateral cooperation agreement on International Internship Program (NASA I²) was signed. 21 students from Lithuania (7 of them – from KTU) have participated in the internship since 2014. 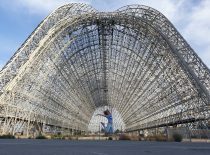 In order to get the internship in NASA Ames Research Centre students have to pass several stages of stiff competition. Firstly, one needs to win national selection consisting of submitting all the necessary documentation and information about their activities, to pass English test and to shine in a motivational interview. After success in national selection, the intern’s candidacy needs to be approved by NASA. “You have to be brave, to show initiative and to be persistent – to ask, to try, to do things. For example, I don’t think that I was the most experienced in research among the candidates, but I am sure that I was the most active”, says Kravčenko. Leonas Balaševičius, KTU Vice-Rector for Research and Innovation, is convinced that the KTU students’ continuous success in NASA internship competitions shows the superior quality of studies: “This only shows that at KTU we are delivering studies based on science. In order to pass the steep competition, the students have to demonstrate their skills, knowledge, research competences, together with their transferable skills, such as self-branding, presentation and project proposal design”. 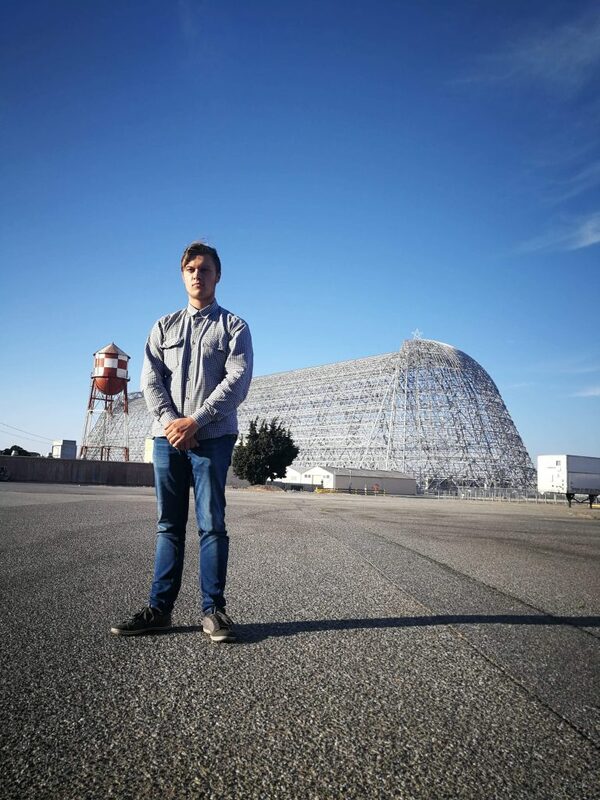 According to him, the internship in NASA not only allows to see the extraordinary work place from close, but also to improve networking, team working skills, which are essential in today’s world. “I am looking forward to meeting new people, to get inspired by new ideas, to see new places. However, what I am most interested in is to see how the things are getting done in such a workplace as NASA”, says Labanauskas. He admits to have experienced a mild cultural shock after arrival, but is already getting used to the new environment and is ready to explore all the opportunities available. 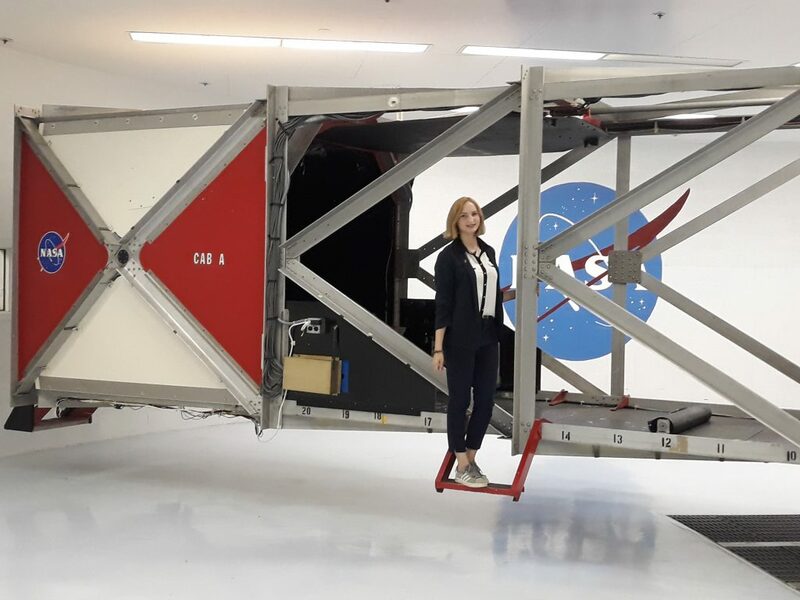 She is encouraging everyone to try their luck in the NASA internship competition – to talk to people who have been there, to look for opportunities, to apply repeatedly. 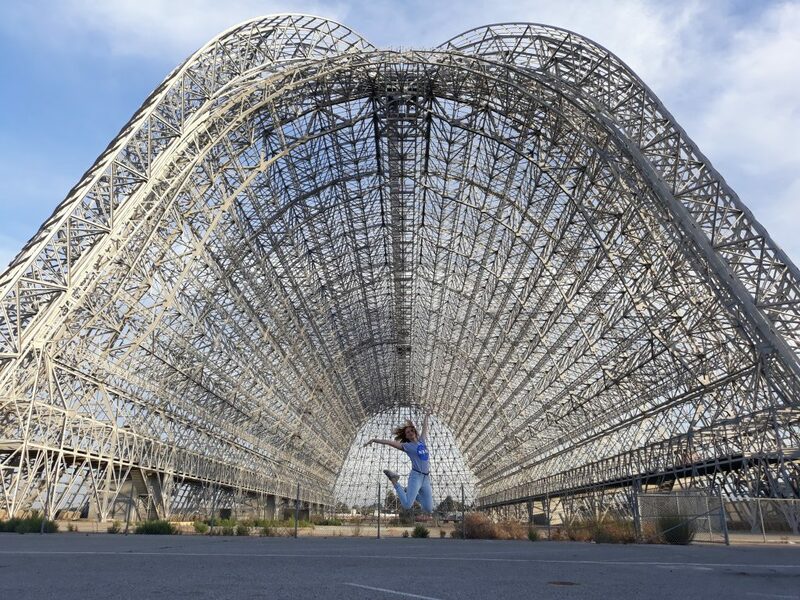 “Imagine – you are working in the Agency located in the Silicon Valley, your job is to develop state-of-the-art technologies in outstanding laboratories, and your mentor, who has 30 years of work experience, always finds time to answer your questions. Google, Microsoft and Amazon offices are in your neighbourhood, so you can also mingle with people from there. Every day you take in the breath-taking mountain views, enjoy permanent sunshine and company of friendly people. Just imagine all that, multiply these feelings by 100 and you’ll understand how I feel at the moment”, says Julija. The 16-weeks internship in NASA started in the end of August and will end on December 14.